After the Doctor's health deteriorates while in the cold environment of the South Pole that the TARDIS has taken them to the Doctor, on returning to the TARDIS, collapses and then before his companions very eyes he regenerated into a much younger and dark haired man ("The Tenth Planet"). To his two companions this was not only a complete shock but also something that could not be possible unless this strange person is an impostor who has managed to enter the TARDIS. As Ben and Polly tried to challenge The Doctor they became more and more confused and sceptical, doubting whether the man before them was the genuine Doctor. 'Life depends on change and renewal' The Doctor comments (Although his habit of referring to The Doctor as a separate person at first did little to encourage the idea that he was still the same man). However, they are finally convinced that this 'stranger' is indeed The Doctor when a Dalek recognises him for who he is. This forces Ben to admit 'Well, if a Dalek takes you for the proper Doctor then I suppose I can' ("The Power of the Daleks"). Although some uncertainty remained regarding the new Doctor - with Ben once commenting that he wasn’t sure the new Doctor was ‘all there’ sometimes - he proved himself time and again to be just as capable as his previous self in fighting the evils of the universe. Patrick Troughton played the part as a cross between Charlie Chaplin and the Pied Piper and was described by his first incarnation, when he meets him in a much later story, as a 'clown'. Significantly, he is the only Doctor whose clothing does not significantly differ from his previous incarnation, his favoured wardrobe being simply a larger, slightly baggier version of the First Doctor’s chosen garb, with the trousers now clownishly large and his cravat being replaced with a commonly poorly-tied bow tie. He still had a keen mind and sense of righting wrongs and he still managed to become entangled in the affairs of others, admitting to his companion Jamie that ‘I do tend to get involved with things’ (A marked contrast to his first self’s initial reluctance to get involved in the crises he found himself discovering as he travelled around in the TARDIS). His relationship with his companions was also altered, his predecessor’s role as a wise old guardian switching to a kind of ‘favourite uncle’ figure, with the Second Doctor still old enough to exert authority but preferring to be a figure of warmth and fun rather than his first self’s status as a stern disciplinarian. However, his brilliant intellect and powers of observation would be hidden beneath his clown like façade and his tomfoolery made his enemies underestimate his abilities and motives, his apparent incompetence and ignorance putting his enemies off-guard until he was ready to confront them. 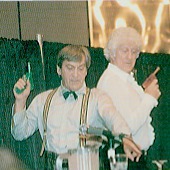 When he met other versions of himself, the Second Doctor’s clownish attitude was so perfect that even his future selves underestimated him, with the Third Doctor once commenting that the Second Doctor’s presence was more of a hindrance than a help ("The Three Doctors"), although the Seventh later described him as simply being more curious and prone to improvise rather than actually coming up with plans, encouraging his younger self to explore more detailed plans without actually condemning his traditional methods ("The Colony of Lies"). The Doctor’s childishness is well demonstrated when The Doctor ends up playing games with three playful Daleks who have been given 'The Human Factor'. However, when the Daleks’ true plans are revealed - to isolate the ‘Dalek Factor’ and spread it to humanity throughout history via the TARDIS - he tricks them into giving more Daleks the 'Human Factor' who then rebel against the Emperor Dalek ("The Evil of the Daleks"). His manipulation of the Daleks into civil war reflected this Doctor's darker potential; while he preferred to find a peaceful resolution where possible, he was not above resorting to more ruthless methods when the situation required it, such as electrifying the doors of the Cybermens' tomb on Telos ("The Tomb of the Cybermen") or tricking a fleet of Ice Warriors into travelling directly into Earth's sun ("The Seeds of Death"). However he was commonly a light-hearted man; at moments of stress he had a habit of producing a recorder and playing a jaunty little tune - although only he thought that he was any good with the instrument, with others finding this habit to be particularly frustrating - or even occasionally dancing to a little jig. Despite this light-heartedness, he was unable to hide his true feelings when facing serious issues, clearly saddened at Victoria's departure from the TARDIS even as he recognised why she was leaving ("Fury From the Deep"), as well as expressing great indignation when he learned that his old friends the Menoptera had been enslaved ("Twilight of the Gods") and arguing with his old friend Koschei about the use of the time-changing Darkheart, which would allow Koschei to eliminate conflict at the cost of freedom ("The Dark Path"). He was also very modest much preferring to slip away quietly and unnoticed at the end of a story so as not to be caught up with the embarrassment of farewells or the answering of awkward questions. 'Why did you rush us back here for?' Zoe questions, on returning to the TARDIS after defeating the Ice Warriors attempt to invade Earth. For which The Doctor replies 'Well you know questions, explanations. It's very difficult. Come on.' ("The Seeds of Death"). 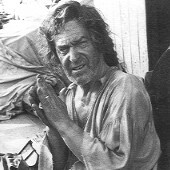 In contrast to his desire to avoid the spotlight, he enjoyed chances to explore and have fun, being far more light-hearted than his past self, sometimes donning such bizarre disguises as secretary Lucy Buxom while in a role-playing game ("The Murder Game") or a gypsy-like musician in Atlantis ("The Underwater Menace") simply for the fun of it rather than any more practical purpose. A continued theme at this time from the First Doctor’s era was The Doctor’s inability to control the TARDIS, made evident on such occasions as The Doctor’s claim to be taking the ship to Mars ("The Underwater Menace") resulting in the TARDIS arriving on the moon ("The Moonbase"). On one occasion The Doctor claimed that this was the result of security measures installed by his people rather than his own inability to control the ship - the measures preventing a thief from taking the TARDIS wherever he wanted to go rather than preventing him from taking it in the first place - but his attempt to remove these protocols resulted in him ‘crash-landing’ the TARDIS in a pocket dimension containing a small American town ("Heart of TARDIS"), suggesting that his own lack of expertise played its part at this time. While he was able to control its flight on rare occasions, these were only under exceptional circumstances when following a powerful signal, such as when tracking a message sent from the space hotel Galaxian ("The Murder Game") or when he took a bomb directly to the heart of the resurrected Animus ("Twilight of the Gods"), both occasions requiring him to disable the TARDIS temporal circuits and more than a few of its traditional safeguards in order to be certain of tracking the signal. Unlike many other Doctors, who always retained at least an appearance of control even when faced with imminent death, the Second Doctor was the only Doctor known to actually show fear to his enemies, seemingly genuinely afraid when the Cybermen he encountered on Telos attempted to drag him back into their tomb as he fought to escape, and prone to the occasional moment of nervous chatter when faced with such ruthless foes as the Selachians ("The Murder Game"), or even a simple human mob (Albeit one under the control of an unknown intelligence) ("Heart of TARDIS"). Despite this, his resolve to fight the evil he encountered remained a dominant part of his character, stating more than once that evil 'must be fought' regardless of the cost to himself; when his traumatised companion Jamie believed that The Doctor was an android duplicate created to trick Jamie after the death of the ‘real’ Doctor, it was seeing The Doctor fighting the evil Captain Taylor that confirmed for him that The Doctor was real. He was also able to use his tomfoolery to bluff his way out of danger, such as in the "The Seeds of Death" when cornered by two Ice Warriors, who are about to shoot him, he announces in desperation 'Your leader will be angry if you kill me. I'm a genius!' Although flustered when put on the spot or facing others who couldn't accept his efforts, such as Dastari's conviction that the Time Lords wanted to suppress potential rivals ("The Two Doctors") or the Selachian leader's inability to consider peace with air-breathers ("The Final Sanction"), he retained a knack for diplomacy and relating to others when calm, which was particularly useful in allowing him to trick foes such as the Daleks ("The Evil of the Daleks"), the Great Intelligence ("The Web of Fear"), the War Chief ("The War Games") and the Countess ("World Game") into believing that he was going along with their plans when he really intended to turn on them and defeat them. As was the case with the First Doctor's era his exact origins were still never revealed, and only once does The Doctor mention his family and even then very vaguely. As he tells Victoria, who is still upset about the death of her father by the Daleks, that he can still remember his family 'I have to really want to, to bring them back in front of my eyes - the rest of the time they sleep in my mind and I forget. And so will you' ("The Tomb of the Cybermen"). This scene with Victoria also demonstrates The Doctor's caring nature and his desire for the well being of his companions, with Victoria in particular being regarded as a daughter figure while Jamie was a combination of son and brother, serving as someone who could protect The Doctor and be educated by him. This bond was generally reciprocated by his friends, Jamie in particular showing a great devotion to The Doctor as they travelled together; on one occasion when The Doctor was presumed dead, Jamie briefly became suicidally insane due to his guilt and grief over the loss of his mentor, but he recovered after he witnessed The Doctor alive again and confirmed that he was real ("The Indestructible Man""), Jamie later consoling himself when he was trapped on an Earth ship and regarded as a traitor by both humans and their enemies by reminding himself that he had only done what The Doctor would have done by trying to prevent death on both sides ("The Final Sanction"). However, despite The Doctor’s desire for secrecy, the details of The Doctors true background were finally revealed during Patrick Troughton's last story "The War Games". After defeating an alien race, who have been using human soldiers from different war periods, The Doctor is forced to call upon the help of his own race 'The Time Lords' so as to return the soldiers back to their respective time zones. Fearing them immensely he manages to return to the TARDIS, along with companions Jamie and Zoe, but they find themselves trapped and so The Doctor ends up on trial for all the meddling he has done. Although The Doctor was initially sentenced to death - with Jamie and Zoe being sent back to their own times with all memory of their travels with The Doctor erased - he was able to to earn a reprieve by working for the Celestial Intervention Agency for a time, helping the Time Lords deal with situations where they couldn’t become involved due to their need to maintain a ‘hands-off’ policy in the affairs of the universe. On the first of these missions, The Doctor was granted access to new means of time travel, such as a Time Ring or a new, updated TARDIS, but on both occasions he stated his preference for his old ship and was eventually allowed to use it again, albeit with a recall circuit built in to recall the TARDIS to Gallifrey. His first such mission pitted him against the mysterious Players ("World Game") - the stress of the adventure causing The Doctor’s hair to turn grey for the rest of his second life and resulting in the death of his new companion Serena. He was later able to negotiate for Jamie to be returned to him for a time with some of his memories restored, and the two travelled together once more, despite such threats as The Doctor being captured and nearly transformed into an Androgum - which he only escaped thanks to some assistance from the Sixth Doctor. Despite his service, the Second Doctor eventually finished his time with the CIA and was forced to begin his new sentence as he was made to regenerate and exiled to Earth, his knowledge on how to operate the TARDIS erased. Patrick Troughton was born in 1920 in Mill Hill, London and after going to the Embassy School of Acting at Swiss Cottage in London he won a scholarship to attend the Leighton Rallius Studio for Actors at the John Drew Memorial Theatre, Long Island in America. When the Second World War broke out he returned to the United Kingdom but the Belgian ship he was aboard hit an enemy mine and sank off Portland Bill. Fortunately he was one of the lucky ones to escape in a lifeboat. In 1940 he joined the Royal Navy raising through ranks until he had his own captaincy of a motor gunboat which patrolled the North Sea. He only returned to acting after the Second World War had finished when he left the Royal Navy in 1945. He appeared in repertory theatre and he also played Shakespeare at the Bristol Old Vic. His film credits include Hamlet, with Lawrence Olivier, in 1948, Treasure Island in 1950, The Curse of Frankenstein in 1957, and Jason and the Argonauts in 1963. He was also the first Robin Hood on television when he played the starring role in 1953. Other television appearances include co-starring in Dr Finlay's Casebook in 1962 and playing the part of Quilp in Charles Dicken's The Old Curiosity Shop also in 1962. It was during the time he was in Ireland making the film The Viking Queen in 1966 that he was asked, by Sydney Newman the then Head of Drama at the BBC, to become the Second Doctor. At first he refused as he felt that it was the wrong type of part for him. Eventually though he decided to accept the part. He played the part of The Doctor for three years, from "The Power of the Daleks" in 1966 to "The War Games" in 1969. It has been reported that Patrick Troughton enjoyed his time being the Second Doctor and along with Frazer Hines they had a lot of fun especially during rehearsals. 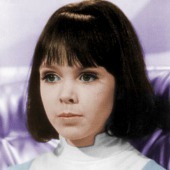 Their fellow actress, Deborah Watling who played the part of companion Victoria, had to put up with a number of practical jokes. These included having items of her clothing being tampered with at the most embarrassing of times and also being thrown into the sea. In one such incident Patrick Troughton, instead of pulling out a handkerchief from his top pocket, pulled out a pair of lady's knickers causing the whole production team to fall about with laughter. Despite these indignities and the nuisance they caused people still had the highest regard for Patrick Troughton even those who his pranks were aimed at. These practical jokes also continued long after he had left the show during conventions where he would have water fights with Jon Pertwee. After Doctor Who Patrick Troughton continued acting including the films The Omen in 1976, Sinbad and the eye of the Tiger in 1977 and A Hitch in Time in 1978, and on television in Coronation Street in 1971, Treasure Island in 1977, The Box of Delights in 1984 and, along with Colin Baker, Swallows and Amazons Forever also in 1984. 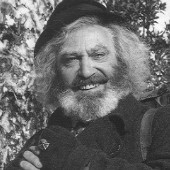 Patrick Troughton also played the part of the Second Doctor in three further stories; the 10th anniversary story "The Three Doctors" in 1973, the 20th anniversary story "The Five Doctors" in 1983 and in the 1985 Colin Baker story "The Two Doctors". 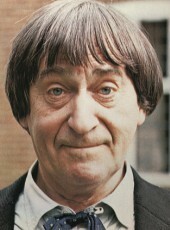 Unfortunately, Patrick Troughton died on the 28th March 1987 in his hotel room while in America attending a convention. The first ever monster to appear during the Second Doctor's era were the Daleks who appeared in the story "The Power of the Daleks". So popular were they at this time that they even appeared in the last story of this season in "The Evil of the Daleks". This however was the last time that the Second Doctor had to face them. There was one other monster that was as equally popular in Doctor Who and that was the Cybermen, who had made their debut in the First Doctor's very last story "The Tenth Planet". The Second Doctor had to face the Cybermen four times including the classic "The Tomb of the Cybermen". Other monsters and villains include the Macra, Chameleons, Yeti (who appeared twice), Ice Warriors (who also appeared twice), Salamander, Dominators, Quarks, Krotons and in the final story "The War Games" the War Lord & War Chief. The Ice Warriors have invaded a matter teleportation relay centre on the Moon. They plan to use this teleportation system, called T-Mat, to spread special seeds over the planet which will alter the Earth's climate so as to turn the Earth into a new Mars. When The Doctor, along with his two companions, arrive via a space ship they are initially unprepared for a confrontation in with the Martian invaders. When their presence is discovered the Ice Warriors start to pursue them. The Doctor though is eventually cornered by a couple of Ice Warriors. After a bit of quick thinking he announces to them 'Your leader will be angry if you kill me; I'm a genius!' to prevent them shooting him ("The Seeds of Death" ). After requesting the assistance of his own kind The Doctor is forced to return to his home world to face trail for the crime of interfering in the affairs of other races. The Doctor argues that although he is guilty of breaking the law of non-interference, the Time Lords themselves are also guilty of failing to use their powers to help others. Despite this he is still found guilty and as punishment they decided to send The Doctor to Earth in the twentieth-century with the secret of the TARDIS taken from him. Before being dispatched to begin his exile, The Doctor is told that he must again take on a new appearance. The Doctor though refuses each suggestion for his new appearance until eventually the Time Lords decide to choose his next appearance for him. And so The Doctor starts to regenerate… ("The War Games").